The aim of the tests was to evaluate the efficiency and safety of DETA-AP and DETA-RITM devices in a Children’s Anti-Tuberculosis Health Resort. One DETA-AP device and one DETA-RITM device were used during all the tests. The “Antihelmetic” program was used once per week for a period of one month. At the same time the children also received antihelminthic herbs from the root of sweet flag and wormwood tinctures. Before running the “antihelmetic” programs, the Deta AP “Drainage” programme was run for 17 minutes. All programmes were run for 35 minutes. Lamblia programme was carried out twice during one month, run time of the program was 45 minutes. Immediately after each “antihelmetic” programme, the “drainage therapy” programme was run to help eliminate toxins related to the parasite die-off – run-time 17 minutes. If after running the anti-parasite programme, there were mild gastrointestinal tract symptoms, then the Deta Ritm programme for “gastrointestinal tract regulation” was used for 40 minutes. The DETA-RITM was used mainly with children having gastroduodenitis, biliary dyskinesia and cholecystitis. For all these cases, the “Active Defense” programme was used for 40 minutes initially. The child would then take a break for an hour, and then the “gastrointestinal tract regulation” programme was used for 40 minutes. The child would then take another break for an hour, then the “Deep Cleaning” programme was used for 40 minutes. All children were required to drink plenty of water to help the flushing of toxins – 30 ml. water to each kilo of body weight. Drainage therapy – 17 minutes. Repeat Drainage therapy – 17 minutes. Repeat Drainage therapy – 45 minutes. 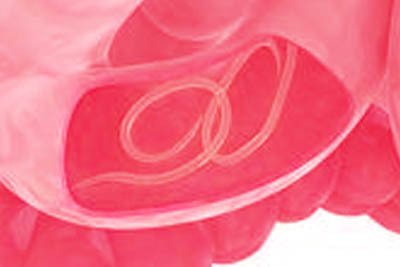 These treatment complexes for Ascariasis, Lambliosis and Enterobiasis was carried out one or two times per week for one month. This treatment complex was applied once a day for 30 days. This treatment complex was applied once per day for 20 consecutive days. The Deta devices were used with children up to 4 years old – most of the children wore the devices over their clothes in their breast pocket.